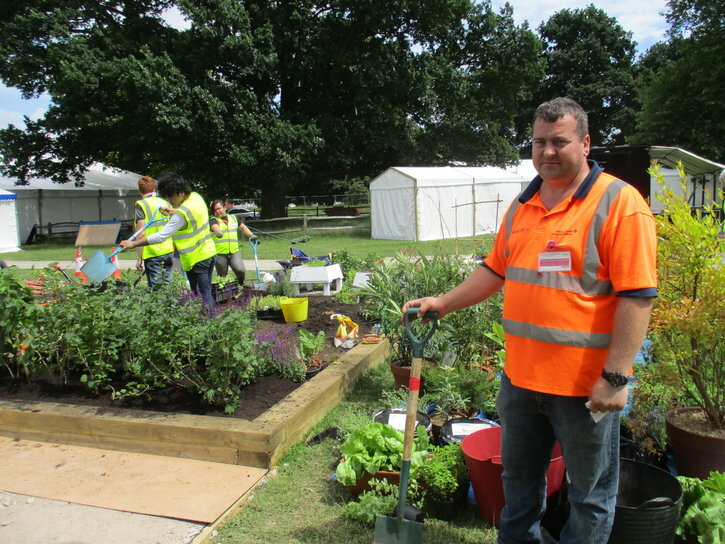 Taylor Woodrow’s Old Oak Common team have a well-established programme of community investment, and recently helped a local school build a prize-winning garden for the Hampton Court Flower Show. It depicted a London Market Garden in the 18th century and was designed by Phoenix High School 6th Form students and their teacher, gaining a gold and two silver gilt medals at the show. The theme of the garden, set by the Royal Horticultural Society was an obvious choice for the school who run a ¾ acre farm in the middle of the White City Estate, west London. Taylor Woodrow was one of three companies who have links to the school and supported them in the development of the garden. The students have been involved in every part of the process, from researching the initial ideas, to helping with construction, to growing the majority of the plants from seed and then planting the garden.